The heady days of 1987 are now a few years in the past but the Club has enjoyed other notable team success since then. The scratch teams of 1988 and 1994 reached the finals of the Davies and Tate Plate competition only to lose, on each occasion, by the narrowest of margins, and again, as we have become used, to much stronger opposition. The Kent 9-Hole competition has become an important target for the 1st team each season and we have reached the final on several occasions over the years. The most recent success in this event came amongst the dark days of the fuel crisis in September 2000, when there was, incredibly, some doubt whether we could amass enough fuel for the team to travel as far as Sidcup! A mutual respect had grown up between our opponents Eltham Warren and ourselves and a heavy defeat in the 1999 final was the spur for revenge the following year. 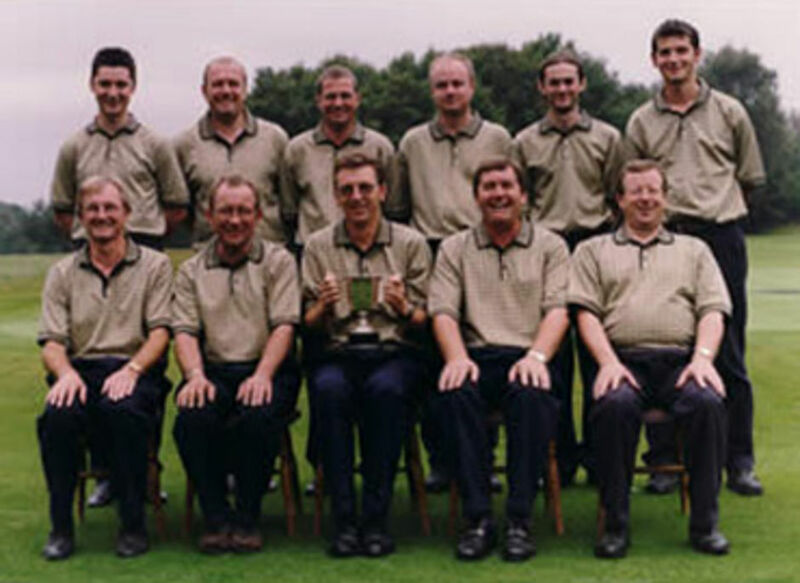 They had proved a formidable foe over the years and we had to pick our very best side for the final, hosted and run, as usual so professionally by Sidcup GC. The story of each match was detailed in the autumn newsletter but the drama will always be remembered by the players, caddies and supporters there on the day, and also very late into the night. The Trophy was won for the fourth time and the Club re-established itself as a force to be reckoned with. With the almost unprecedented number of promising youngsters now coming through the junior ranks in 2002, it is to be hoped that Holtye can continue to be the 'dark horses' of inter-club competitions, the 'away draw' that the favourites hope to avoid.